After Mugur Isarescu, the Romanian Central Bank (BNR) governor has recently criticized the country's Government for increasing the VAT last year, Romanian president Traian Basescu (in picture) promptly commented saying those who give lessons on TV should try to take responsibilities within the state instead. He criticized people from BNR, without pointing the finger directly at the governor and asked those who publicly comment to step up and take the Finance Minister seat or even the Prime Minister seat in the country. He added that the Central Bank is continuously a teacher that delivers lessons every day. The BNR governor Isarescu has recently said in a public conference that Romania's economy had two possible comebacks in the past, but mistakes such as the VAT increase have averted it from getting back on the growth path. “I think the initial solution, with higher deficits under the social insurance budgets, was better than taxing everybody though the VAT increase, but it didn't have political support,” said Isarescu. 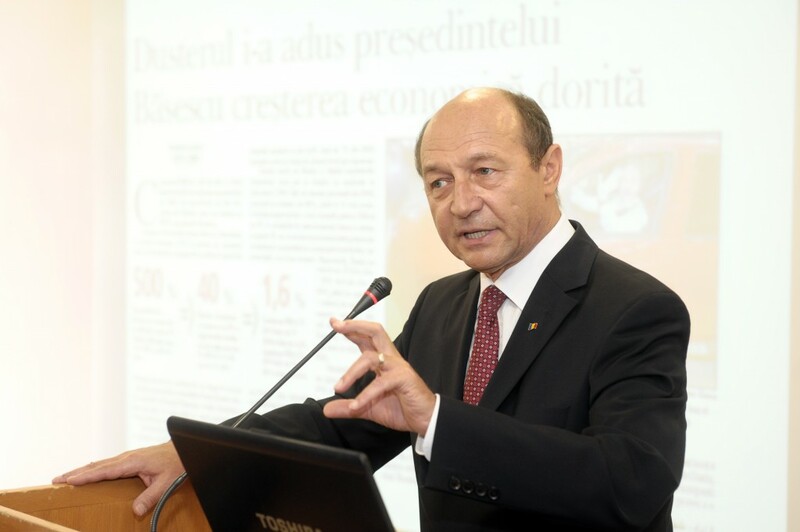 Traian Basescu himself has recently said the VAT increase from 19 to 24 percent was a political error.